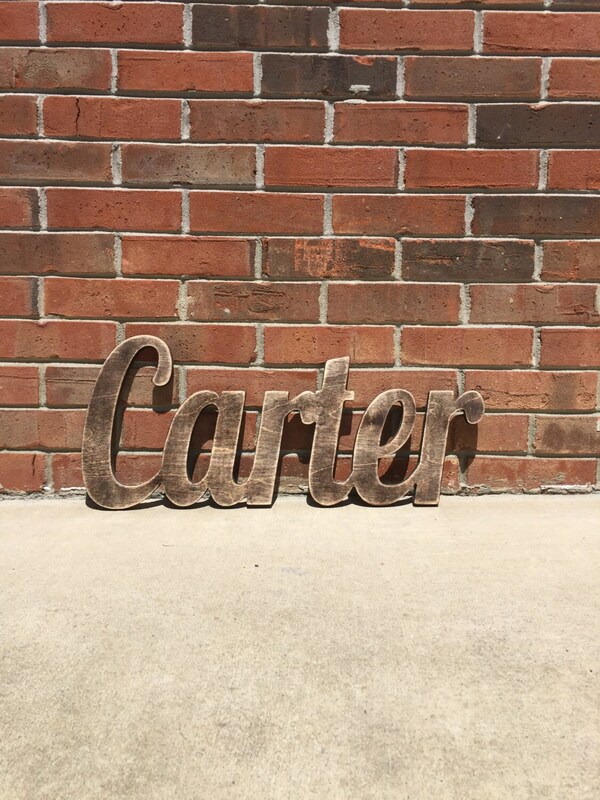 This is our distressed and rustic painted wooden wood name décor piece. It is the perfect personalized décor item for any living room, kitchen, baby room, child's room, bedroom, front porch wall, etc.! This hangs easily by resting it upon finishing nails on the wall. You pick the font and color. We have hundreds of font options and lots of paint choices (see the paint chart in the photos within the listing). Please put the name and color number in the "notes to seller" box. 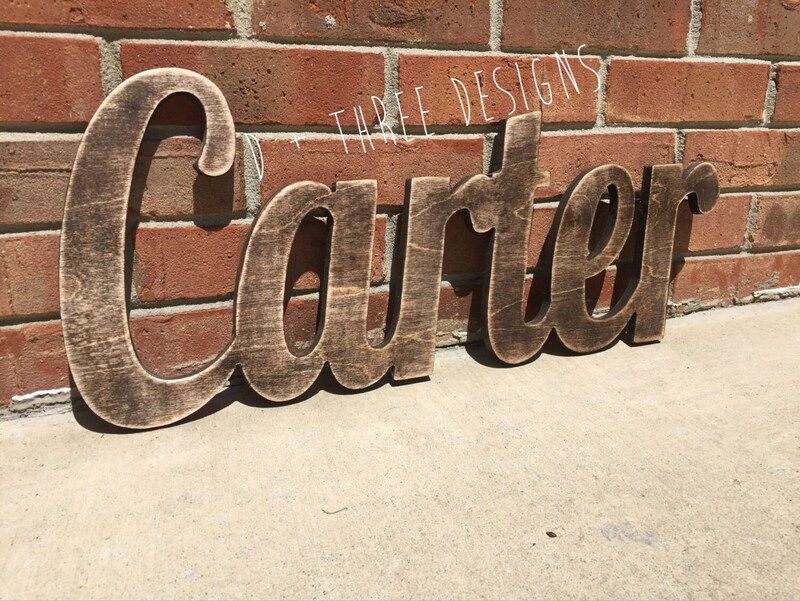 Your name will be 9-10" tall, cut from 1/2" birch wood, and comes sanded, painted, and distressed. The length will be created proportional to the height, but most average 24" wide. These can be made any size! Just request a custom order. This design is elegant and classy. It’s a nice touch to your home décor, nursery, or for wedding décor. These also make GREAT gift for all occasions -- weddings, baby showers, graduations, and housewarmings. Due to all names being custom made and they are NON-RETURNABLE. Upon purchasing this item, you are agreeing to all terms and policies as stated on our policies page. This was beyond perfect! Easy to deal with and shipped fast! Will definitely use again sometime. I love how my little guy's name came out! Extremely responsive and received it so quickly. Thank you! I bought this as a gift for my cousin's nursery, and it is everything I was looking for! This will match his furniture so well and will be something he can use throughout the years!